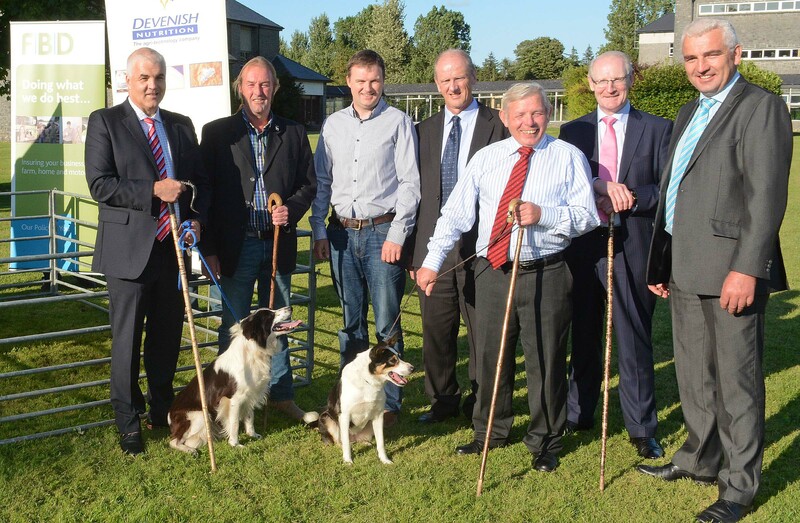 The launch of the International Sheepdog Trials. Sheepdog trialling enthusiasts from all over Ireland and Britain will converge on Creggs, Co. Roscommon from September 12-14 for the Devenish Nutrition International Sheepdog Trials. The trials will be the biggest agricultural event to be held in Connacht this year and were launched at the weekend. The trials will feature competitors from Ireland, England, Scotland and Wales. Teams of 15 competitors will take part in qualifying events on Friday and Saturday, with the Supreme Champion event taking place on Sunday afternoon. The event alternates between the four countries involved and this is the first time ever that the International Trials have been held in Connacht. Some 90 acres of the Hanley Family Farm in Kilbegnet, Creggs, will provide the backdrop for the event, which it is expected will attract 20,000 visitors. Pictured at the launch of the Devenish Nutrition International Sheepdog Trials 2014 are: Richard Kennedy, Devenish Nutrition, John Hanley, host farmer and Chairman of the event, Damien Conry, Financial Controller, Kepak Athleague, Tommy Ryan, Chief Executive, Roscommon County Council, Con McGarry, Irish National President of the International Sheepdog Society, Michael Garvey, FBD Director of Sales and Marketing, Tom Turley, Connacht Chairman, IFA.